Having studied music at Humber College and the Royal Conservatory of Music, Sean's musical talent is plain for all to hear. His tone has a warmth to it which complements his bluesy melodies well. The strap line to the album is "A peace that surpasses all understanding," which is a clue to its general feel. :Having studied music at Humber College and the Royal Conservatory of Music, Sean's musical talent is plain for all to hear. His tone has a warmth to it which complements his bluesy melodies well. The strap line to the album is "A peace that surpasses all understanding," which is a clue to its general feel. 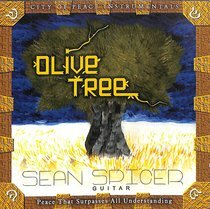 Sean Spicer is an award-winning master guitarist from Toronto, CA and now resides in Nashville, TN where he is cultivating other aspiring artists, doing studio session work and live performances on a weekly basis.